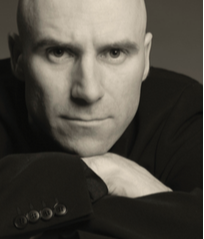 Michel Germain, a French-Canadian Perfumer for more than 25 years, known for his prestigious fragrances. Germain credits the sustainability of his brand to creating a storyline that stands out and does something that no one has ever done. When shopping for a fragrance you want compliments. Michel Germain Parfums wants you to get noticed and asked what you’re wearing! I had the pleasure of co-hosting the Séxūal by Michel Germain Pop-up at Macy’s in NorthPark Center Mall in Dallas, Texas on October 21st. Attendees enjoyed treats, and detailed information about the brand and the Séxūal line by a Michel Germain Account Executive. Inspired by a comment from his wife, Norma, Séxūal by Michel Germain features eight fragrances in total. Four Women’s fragrances: Tendre, Paris, Sugar and Noir. And four for Men’s fragrances:Tendre Pour Homme, Paris Pour Homme, Pour Homme and Noir Pour Homme. But what goes into making a fragrance that makes a women feel like the only women in the world? This sent Germain on a five year quest through France, Africa and the North East for the perfect notes needed to create a fragrance that would do all those things. Ultimately creating Séxūal, a fragrance that exudes romance. MG Account Exec explains that, “In all Séxūal fragrances there is a hidden note, an aphrodisiac. It invites closeness. It invites romance, hugs, and kisses guaranteed. That is what makes this frangrance so unique. They are also oil based, the natural oils blend with your body chemistry and creates your own signature fragrance. I attended my first DFW Teen Fashion Week fashion show, this year, with my [nine year old] daughter and we had a blast! DFW Teen Fashion Week held its 3rd Season the weekend of October 8th at Lofty Spaces in Dallas. 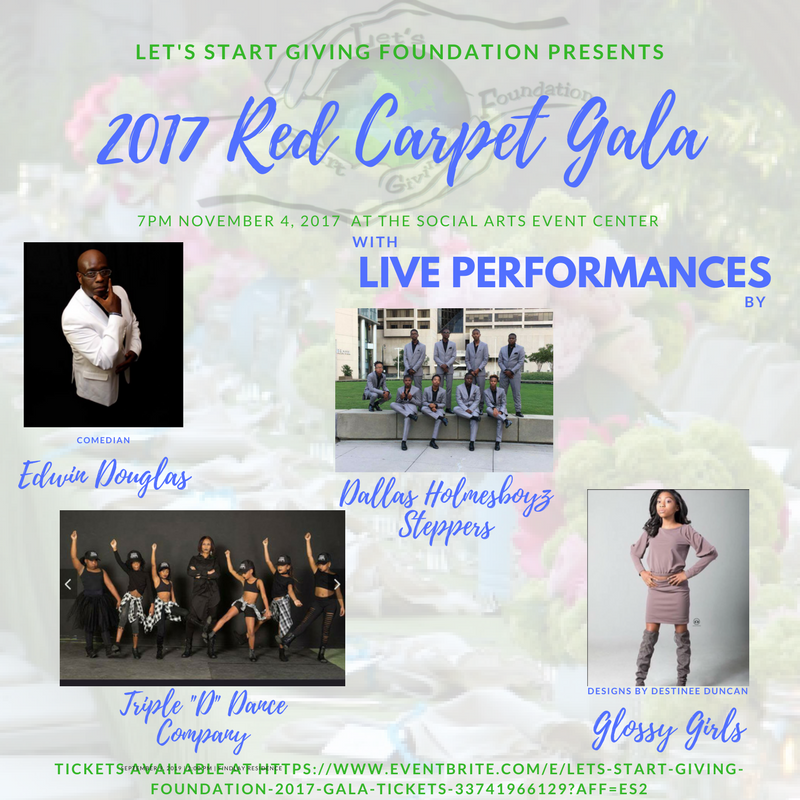 Hosted by ICONIQ TEENDEVELOPMENT and Lady Jade of K104, a portion of the proceeds raised were donated to the Grant Halliburton Foundation to assist with teen suicide prevention. DFW Teen Fashion Week is an action packed, two-day event full of music, dance, art, beauty, and the grand finale the “Oscars of fashion” aka, the DFW Teen Fashion Week fashion show! From the red carpet interviews to the last strut down the runway, this show was fire! The designers were paparazzi ready as they hit the red carpet for photo ops and interviews. Providing a short glimpse of the personalities behind the designs. The cosmetic sponsor for this year’s show was Dasha cosmetics. 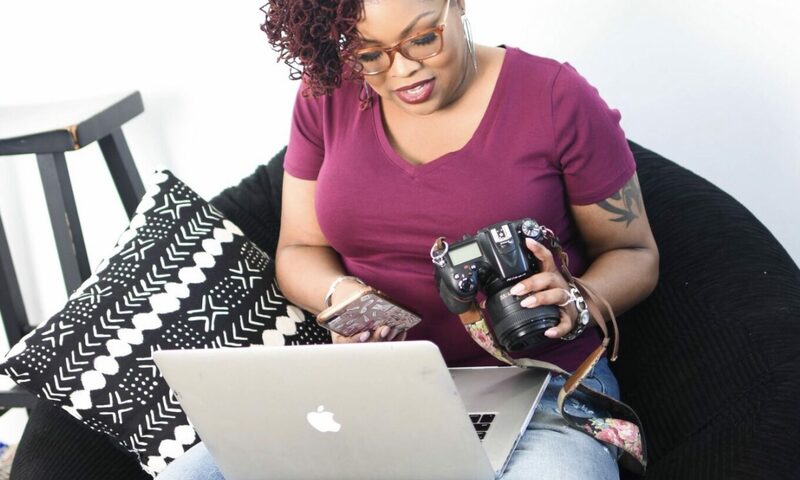 I was able to catch grab a quick interview with House of Dasha Owner, Quinn McDaniel to learn a little more about the emerging cosmetic brand. “We are always ahead of the game. We just launched our Silk Skin foundations which can go from the lightest of the light, to the darkest of the dark – we pasted that test. We have our highlighters, which is -again, we like simple but cute makeup where you don’t really have to over do it to be pretty. You can do it on your own, simple and look like you just got a beat at the makeup store,” she explained. I swatched some of the products while at the show, and will definitely be testing it out (and reviewing) soon! The NG Pro Dance Company had a powerful performance with a message dealing with domestic violence. Everything about this performance was intense. The runway was blazing! There were toddlers, tiaras, grunge, swimwear, everyday wear and couture. The pressure was on for judges Willie Johnson, Keosha Piper, Xzandria Sanders, and Ronald Jones II as models hit the runway to showcase the designs and their skills. The 2017 award categories were (FFOF) Future Face of Fashion, FFOF Peoples Choice, FFOF Mr. and Mrs. Personality Awards; Female Icon, Male Icon, Peoples Choice, and Producers Awards. Results from the show can be found @DFWTeenFashionWeek on Instagram. 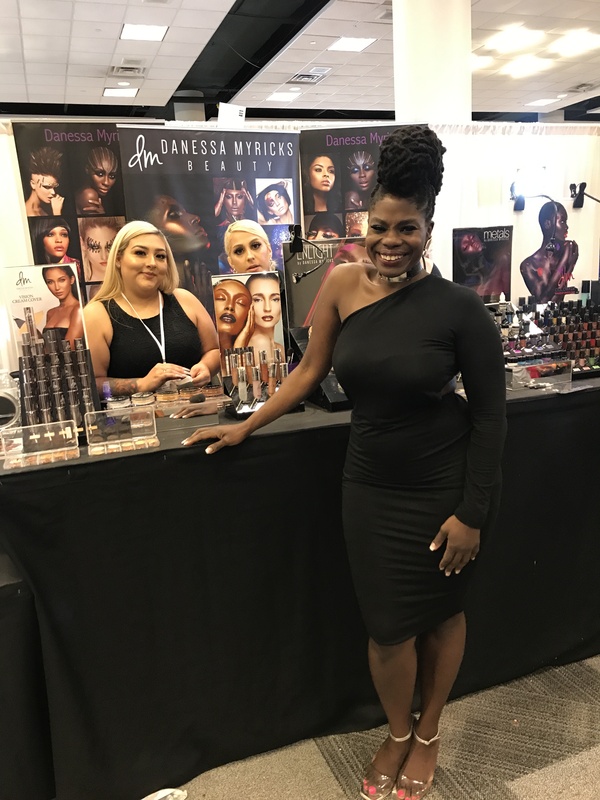 My Experience At The Makeup Show Dallas! For the past two years I’ve wanted to attend the Makeup Show in Dallas, but, without any industry credentials, I couldn’t even pay my way into the show! [Insert 2017] I made it to The Makeup Show Dallas and my experience was utterly amazing! 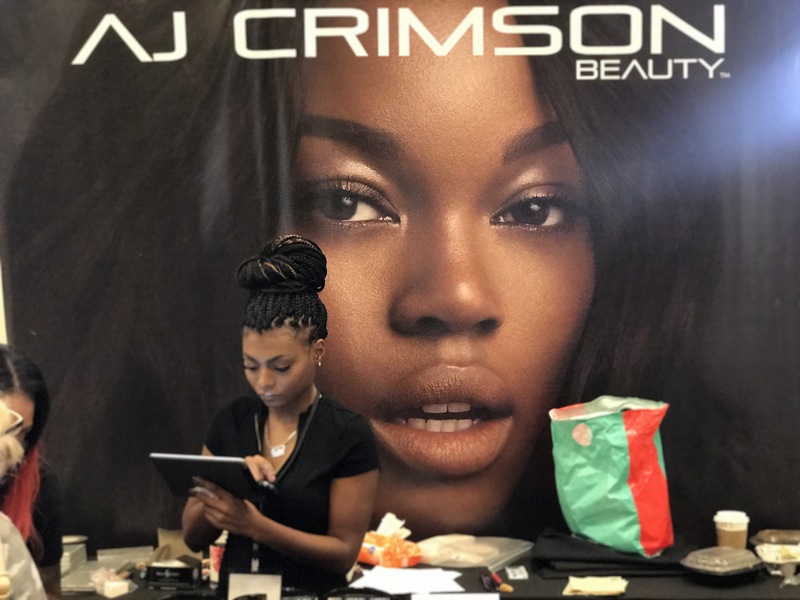 The show itself is the “ha-ha,” providing a wealth of information, resources for makeup artists and beauty industry professionals in every city it hits. The line up for this year’s show included some industry heavy hitters. I was able to meet and speak with a few one on one (screams and faints), and others I was able to experience through their Keynote and Business Forum platforms. Brands ranged from up and coming, and local, to world renowned. 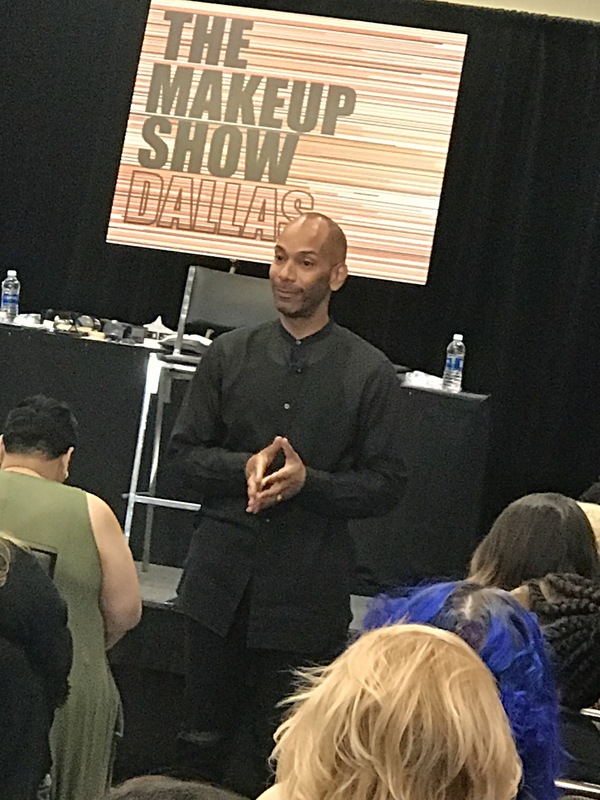 I attended the show both days, and was able to sit in on part of Keynote, Sam Fine’s session on the Basics of Beauty on Saturday. He shared a wealth of information with us, and since I’m not stingy, I’ll share a few tips that stood out for me. To insure that your product doesn’t settle into fine lines. For eyes, look up and gently pull down or expand the skin under the eyes. For fine lines around the mouth, press your lips together and blow. This causes the skin around the mouth to expand and you’ll be able to buff the product out accordingly. Shimmer eye shadow and women of a certain age. Because the skin becomes more textured the older we get, it’s best to play up the brows and lips to add pop to the look versus using shimmer eye shadow. 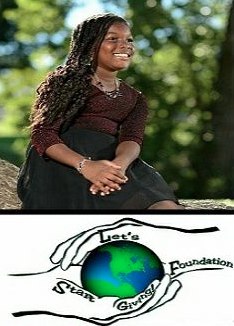 Danessa Myrick’s Vision Cream Foundation! One of the busiest booths on the floor was Danessa Myricks’. Every time I walked by or looked, over there was a mob of people rushing the counter. I avoided the crowd for as long as I could, but I’ve had my eye on her Vision Cream Foundation and couldn’t leave the show without it. So when I saw a window of opportunity I took it, and ended up being second in line to be matched for foundation (winning)! The foundation is full-coverage and long wearing, I was matched with the shade W05. Shop Vision Cream Foundation at www.danessamyricksbeauty.com. I also purchased two lipstick shades from AJ Crimson. I purchased the S+M Sultry and Matte, Matte Liquid Lipstick in Keep It Cute. I also purchased the S+M Sultry and Matte, Metallic Lip Gloss in Coinz. I love the metallic orange/gold magic they make when paired. Find the entire collection at www.ajcrimson.com. 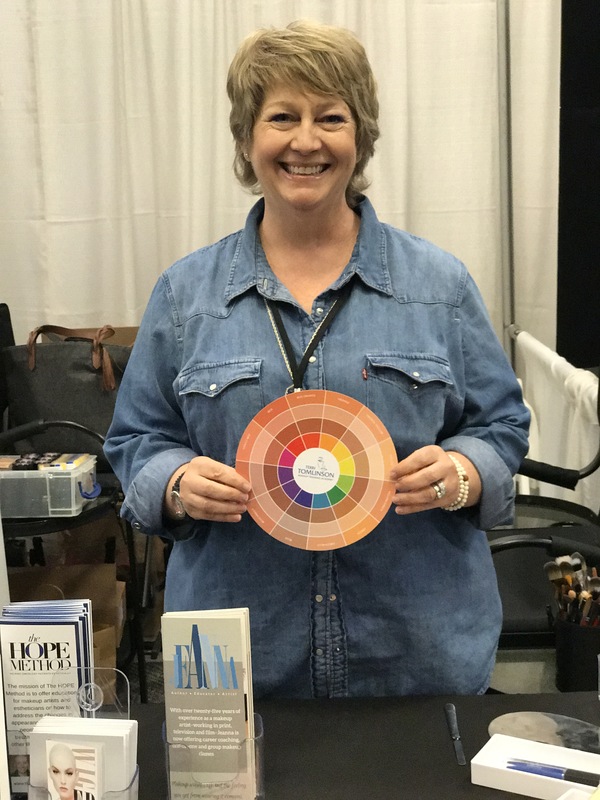 Terri Tomlinson’s Flesh Toned Color Wheel!